Title: Disentangling complex mixtures of compounds with near-identical 1H and 13C NMR spectra using pure shift NMR. Authors: L. Castañar, R. Roldán, P. Clapés, A. Virgili and T. Parella. Reference: Chem. Eur. J., 2015, 21, 7682-7685. 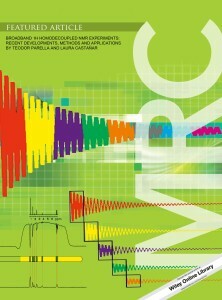 Abstract: The thorough analysis of highly complex NMR spectra using pure shift NMR experiments is described. The enhanced spectral resolution obtained from modern 2D HOBS experiments incorporating spectral aliasing in the 13C indirect dimension enables the distinction of similar compounds exhibiting near-identical 1H and 13C NMR spectra. It is shown that a complete set of extremely small Δδ(1H) and Δδ(13C) values, even below the natural line width (1 and 5 ppb, respectively), can be simultaneously determined and assigned. 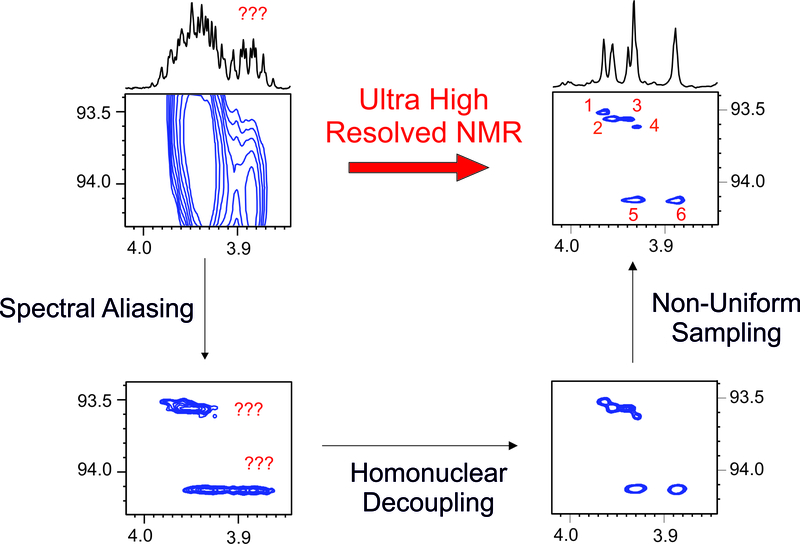 “Full sensitivity and enhanced resolution in homodecoupled band-selective NMR experiments” Chem. Eur. J. 2013, 19, 17283-17286. 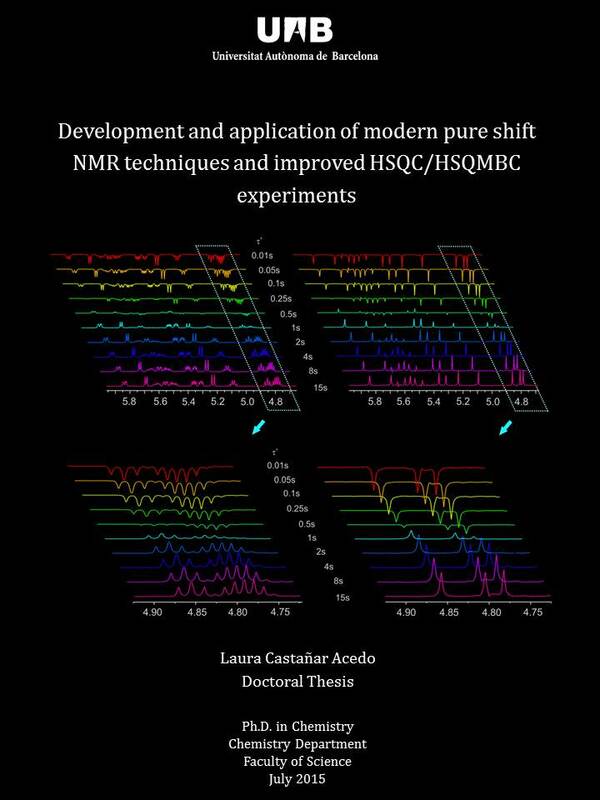 “Simultaneous 1H and 13C NMR enantiodifferentiation from highly-resolved pure shift HSQC spectra” Chem. Commun. 2014 50, 10214-10217. “Implementing homo- and heterodecoupling in region-selective HSQMBC experiments” J. Magn. Reson. 2014, 238, 63-69. 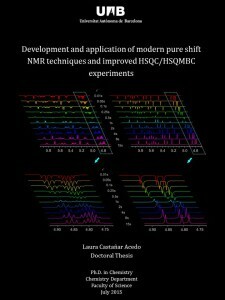 Laura Castañar was honoured at the 56th Experimental Nuclear Magnetic Resonance Conference (ENC) with the Ritchey Travel Award for her Ph.D. Thesis research on “Development and application of modern pure shift NMR techniques and improved HSQC/HSQMBC experiments”. 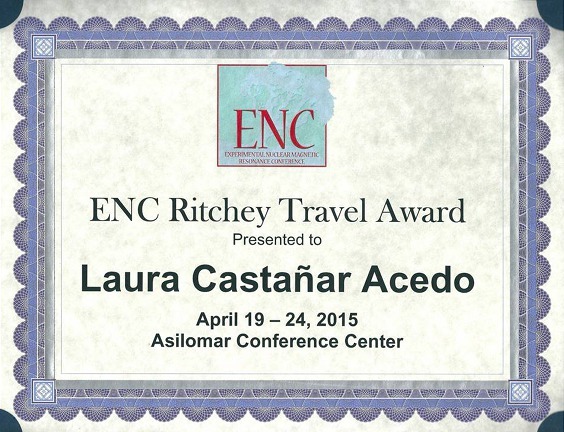 The award ceremony took place at the After-Dinner Program in Asilomar Conference Center in Pacific Grove, California, USA, the 23th April, 2015. Several NMR applications using HOmodecouped Band-Selective NMR experiments  are proposed. The easy implementation of this HOBS scheme as a general building block into a great variety of multidimensional NMR experiments leads to pure-shift spectra with enhanced resolution and with the maximum attainable sensitivity. 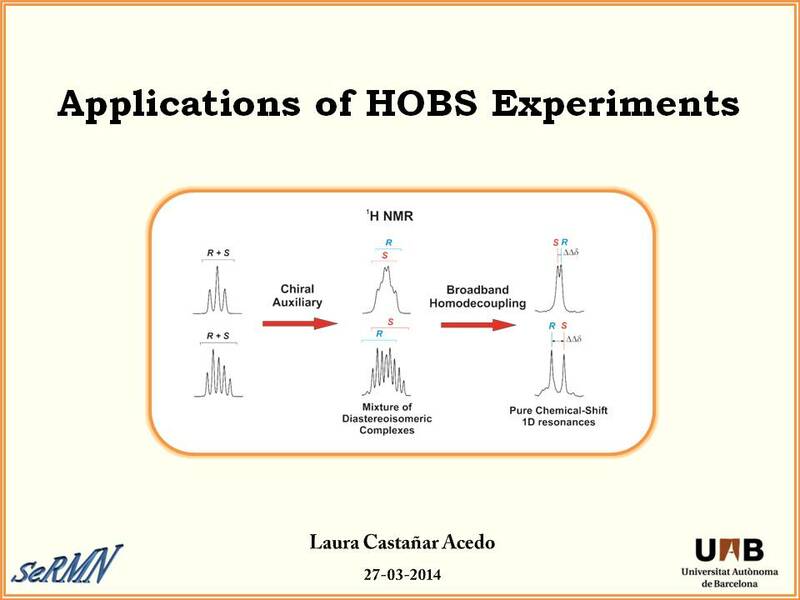 In this talk is presented the application of HOBS for measuring direct  and long-range  heteronuclear coupling constants. Also the use of HOBS experiments to enantiodiscrimination studies are presented .